Tour Management software is multi-currency software which helps in analyse and finalize the quotation, based on various tour services offered. Booking and invoice is made as per the quotation. With the help of financial entries like payment and receipt, it offers various accounting reports. 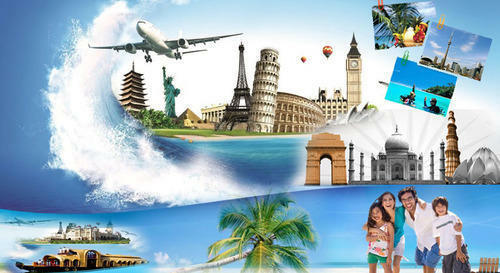 It handles all the hazzels of tour & travel industry. We introduce to you MicroDot Softwares (MDS) as a Global Software Solution Provider involved in the business of Business Analysis and IT Consultancy. MDS has a successful track record for delivering on time, within budget, state-of-the-art IT solutions to a broad range of clients. Company has excellent practical hands-on experience in database related business applications, Business Solutions, Accounts Solutions, Inventory Solutions, Service Solutions, Society Solutions, Medical Solutions, Tools and Utilities and other advanced technology. Our customer centric focus and wholehearted dedication of team member has made us most trusted and dependable IT consultant in this region.